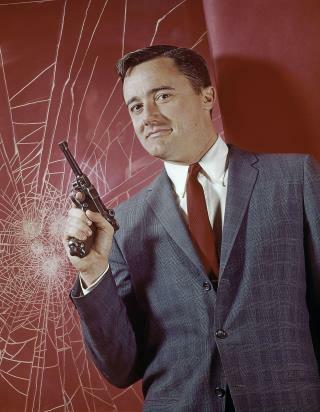 (Newser) – Robert Vaughn, the debonair, Oscar-nominated actor whose many film roles were eclipsed by his hugely popular turn in television's The Man From U.N.C.L.E., has died, the AP reports. He was 83. Vaughn died Friday morning after a brief battle with acute leukemia, according to his manager, Matthew Sullivan. The Man From U.N.C.L.E. was an immediate hit, particularly with young people, when it debuted on NBC 1964. It was part of an avalanche of secret agent shows (I Spy, Mission: Impossible, Secret Agent), spoofs (Get Smart), books (The Spy Who Came in From the Cold), and even songs (Secret Agent Man) inspired by the James Bond films. Vaughn's urbane superspy Napoleon Solo teamed with Scottish actor David McCallum's Illya Kuryakin, a soft-spoken, Russian-born agent. Next on Newser: Could This Be Our First US Soccer Superstar? Huge fan and I have like a dozen shows on my DVR. I'm not a fan of NCIS but I do like watching Illya Kuryakin! They were both such cuties. I was hot for Noel Harrison and The Girl From Uncle too. And there goes my childhood. RIP Robert. so few of the tv shows today show good over evil the unending battle .mr solo we wish you the grace of god ! !